Funeral service for Raymond Gilbert June, 93, Lawrence will be held 2:00 p.m. Wednesday, March 19, 2014 at Lawrence Free Methodist Church. Burial will follow at Pleasant Hill Cemetery in Pleasant Grove, KS. He died March 14, 2014 at his home. He was born on February 28, 1921 in Haddam, KS the son of David and Nellie (Smith) June. 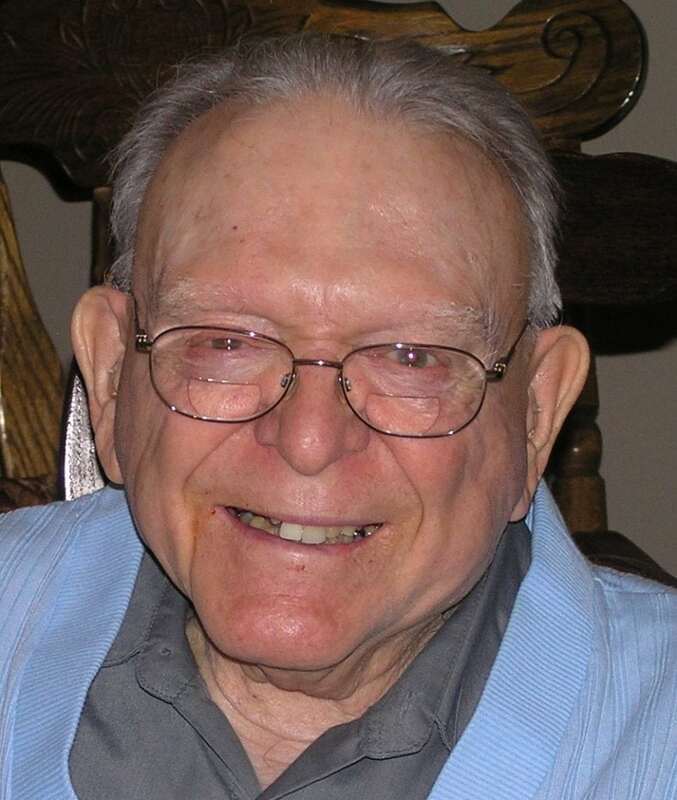 Raymond served as a radio-communications specialist in the U.S. Air Force during WWII. He was very proud of his service “delivering grief to Hitler”. He worked for both the Hercules Army Ammunition Plant and Farmland Industries from where he retired. Ray was very protective and proud of his family and enjoyed amateur photography and traveling. Raymond was a member of Lawrence Free Methodist Church. Raymond married Vivian Rothrock on October 10, 1947 in Lawrence. She was the love of his life for 67 years and survives of the home. Other survivors include three daughters, Karron Schwarz, Lawrence, Sherrel Crenshaw and husband, Eldon, Ottawa, Kathleen Decker, Fort Benning, GA; one sister, Doris Boehle, Lawrence; 8 grandchildren, Colleen Walker, Ronald Ferguson, Bradley Crenshaw, Scott Crenshaw, Todd Crenshaw, Krista Skoog, Troy Decker, Matthew Decker, 17 great grandchildren; 3 great-great grandchildren and many nieces and nephews. He was preceded in death by his great grandson, Ryan Walker and son-in-law, Kenneth Schwarz. The family will greet friends 5-7 p.m. Tuesday, March 18, 2014 at Warren-McElwain Mortuary. Memorial contributions may be made in his name to Visiting Nurses and may be sent in care of the Warren- McElwain Mortuary.